Should Children Be Forced to Say Sorry? With little jaw clenched tightly and nostrils flaring, the guilty sibling replied, “Sorry,” in a less than genuinely repentant tone. All was good. Problem fixed. Happiness was restored to the world once more. I could hardly restrain myself. Despite my best efforts I felt my head begin to shake from side to side…I was shaking my head at myself. For I was once that mom. I was that mom who immediately pressed my young children into apology mode when they wronged someone. I wanted my little ones to go from angry outburst to contrite heart in mere seconds. I wanted to believe that uttering that five letter word, s-o-r-r-y, made everything all better. How naive I was! How foolish! Forcing an immediate apology is actually encouraging our children to lie. As parents we somehow feel that as long as the word sorry is uttered, the situation has been taken care of. Truth be told: apologies have very little to do with actual words. They have much more to do with the state of our hearts. Genuine apologies come once we have grieved what we have done. We should, at some point, become aware of how our actions have hurt others. And, at that point, we should feel a sense of sorrow, a sense of disappointment only in ourselves. Most importantly, we should feel grieved that we have sinned against the Lord. We should feel compelled to make things right, first with the Lord and then with those we have wronged. The process should be no different for children. I realize that not every five year old is capable of the above thinking (but I am also not saying that they aren’t). As parents, it is our responsibility to move our children in that direction, though. It is our responsibility to take the time, to sit them down, and talk to them about their wrong doing. Parenting takes time. The true reality is that the only reason we force our children into immediate apology is so that we feel as if we have done something to fix the situation. It is the seemingly easy way out for us. Honestly, forcing an immediate apology does nothing but reinforce the idea that one can utter words they do not mean in order to get ones self out of trouble. Continuing this practice will have devastating results as our children grow into teens and adults. We’ve all seen adults who have difficulty taking responsibility for their actions. We see them shift the blame and make excuses for their behavior. They are quick to point out the faults of others to divert attention away from their own shortcomings. We see the stone like faces and hear the robotic, emotionless words uttered by one who has been forced into apology, and we know in our gut, that they likely don’t mean it. I need not look any further than Psalm 51 to show me what true sorrow for one’s sin looks like. Surely I was sinful at birth,sinful from the time my mother conceived me. Yet you desired faithfulness even in the womb;you taught me wisdom in that secret place. A contrite heart is one that is sincerely remorseful and seeks to make things right…not for the purpose of saving face or avoiding trouble, but to genuinely mend fences, to make things right, and restore fellowship with those we have hurt, particularly the Lord. Our children have to get that message. They just have to. 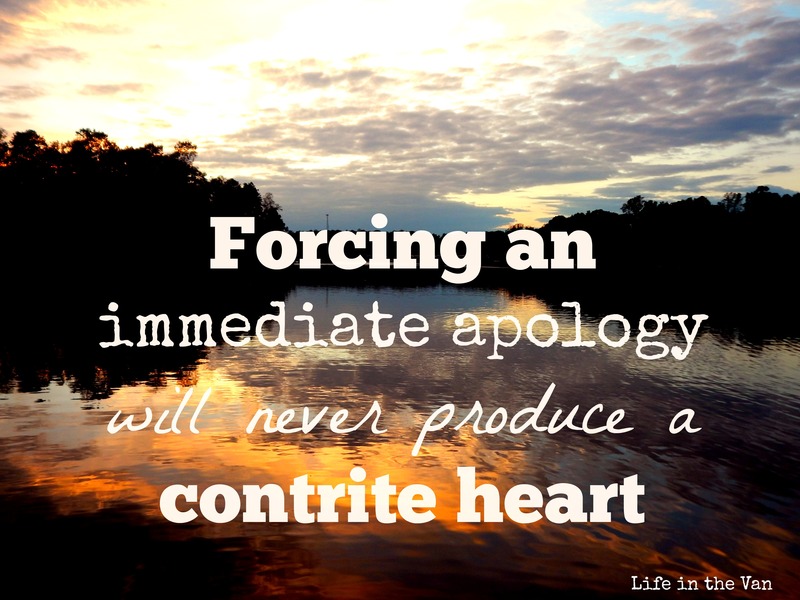 Forcing an immediate apology will never produce a contrite heart. So how does the parenting process change? Well, I’ll give you a scenario. A few months back, one of my boys lied to me. He lied about something silly, but no lie is small, and no lie should be ignored. I showed him scripture. We talked at length about the tangled web we weave when we lie. We discussed how there is a breakdown of trust when one lies. I expressed my disappointment. I inquired as to why he didn’t feel compelled to speak honestly to me. We had a good conversation. I finally asked him what he needed to do in order to make this situation right. He knew that he first needed to go before the Lord and seek forgiveness, and, he would also need to make things right with me. He owed me an apology. After our discussion, my son was sent off to his room. I gave him a bit of time to himself, then checked in. In all honesty, I completely went up to his room expecting him to apologize to me. I mean, thirty minutes had passed, his heart was surely contrite by now! When I poked my head in, I was greeted by a pout. I finalized the amount of time he needed to spend in his room and left. We ate dinner. He got ready for bed. I tucked him in and we said goodnight. At lunchtime, my son came up to me and apologized. He said that he was sorry for lying to me and thanked me for taking the time to talk to him about it. I hugged him, affirmed my love for him, and offered my forgiveness. 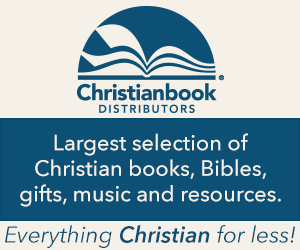 A contrite heart restored our fellowship. 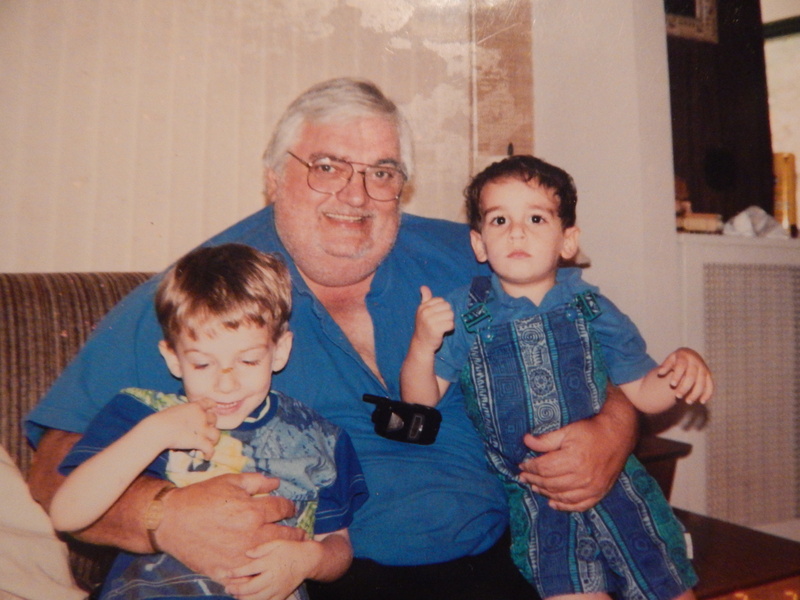 Something happened when my son was given the time to work out his wrongdoing. He actually realized what he had done was wrong. He was sorrowful. And eventually, in his time, he knew he had to make it right. That is what we need to strive for.